It’s no secret that going to the dentist isn’t a favorite pastime. With the sound of the drills, the sharp pokey-sticks and needles- the dentist’s chair can really build up anxieties that are hard to overcome. But there are a few precautionary steps that you can take to help ease your troubles, making a more confident you as you sit in the chair with your paper bib on. What makes you cringe when you think about the dentist? To overcome your fear, you need to identify what that fear is. Is it the tools they use? The pain that could be associated with a cleaning or surgery? Are you embarrassed about the state of your teeth? Dental tools look shiny, silver, and of course… sharp. If the tools and equipment make you want to jump right out of the chair, it might be good to address that with your dentist. Talk with your dentist of why you feel that way- is it the sound or the sight of them? They can help address your fears and what can be done to make you feel as comfortable as possible. If it’s the sound of the drill- pop in some headphones to help drown it out. If you need more distraction, see if it’s possible to watch a TV show or movie or listen to music while they work on your teeth. Maybe it would help for the dentist to walk and talk you through what they are doing so you can understand what is going on and don’t feel anxious over what might or might not happen. The more your dentist knows the better they can accommodate you. Dental tools are also known for causing a little pain here and there but if you’re fearful that it might cause too much ask about numbing gels or anesthetics. It’s possible to have a pain-free visit nowadays. Numbing gels are easy for your dental hygienist to apply and are quick to start working. You won’t feel any of the poking and prodding and will feel yourself more at ease. Maybe it’s how your teeth look that make you stay away from going into the dentist’s office, too embarrassed with what they might think. The fact is- they’ve probably seen a lot worse and are happy to be of help! Before an initial visit let the dentist know how you are feeling about your teeth. This could help ease the anxious feeling on your part and make your dentist aware of how you’d like to be accommodated. Going to the dentist doesn’t have to be so scary. It is way easier to tackle the problem if you help your dentist understand why you feel anxious. Find a dentist that is willing to discuss your fears with you and work to make the experience more enjoyable. Also, if you are interested in sedation ask your dentist if its an option. Our Dental Office in Walled Lake MI provides the best in general and cosmetic dentistry in our community. We offer the most conservative and innovative options available in dentistry today. 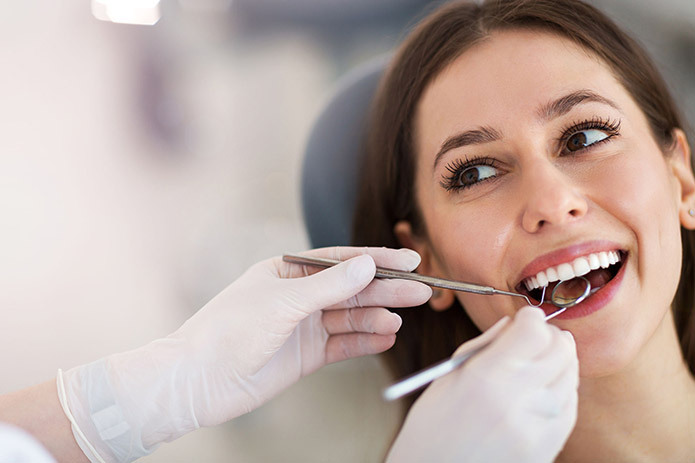 We have a long history of helping individuals who are highly anxious about receiving dental care, or those who suffer from dental fear and anxiety. Call us today for a Free dental consult!